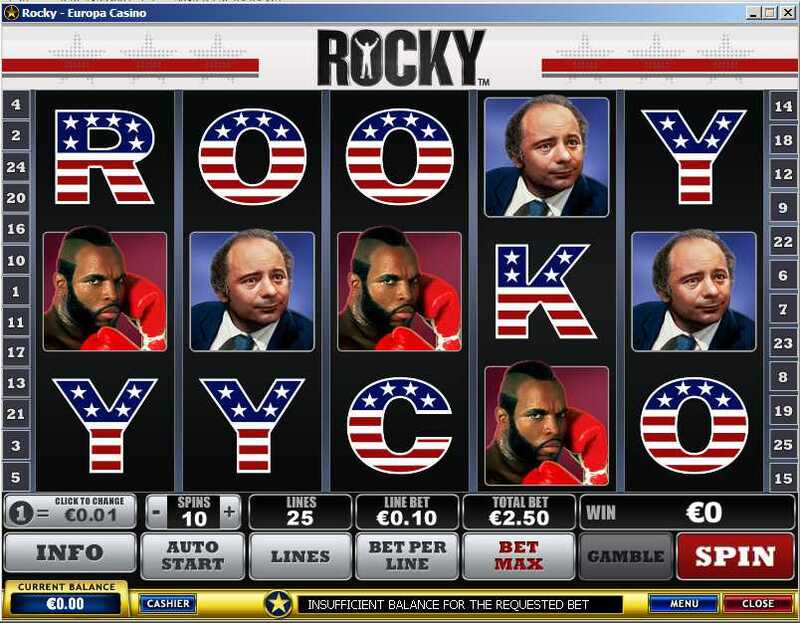 If action is what you're after in your online gaming, you must give the new Playtech powered Rocky slot machine a try. Available for play on leading online casinos Titan Casino, Bet365 Casino Casino Tropez, BetFair Casino and Europa Casino, this battle towards the jackpot is one you most certainly don't want to miss. While many years have passed since Rocky Balboa's initial debut on the big screen, you'll easily recognize his character as soon as you see his determined face looking out from your computer screen. In addition to Rocky, you will also be greeted by the full cast of old favorites including Ivan and Tony "Duke" Evers. But it's more than mere entertainment value that all these great graphics offer. See if you can go the distance with Rocky and get yourself a win. Join him in the ring (or more accurately online) and try your luck at becoming the ultimate champion. Spell R-O-C-K-Y across the reels and you're in luck, with a jackpot totaling 5X your total bet. Or battle Rocky's opponents (you get to choose which one) for big winnings in the Knockout bonus. Go ten rounds and come out a victor. For each round you win, you receive 3X your total bet. Plus, for added entertainment, clips from the original Rocky movies play in between. Just like the champion of the boxing ring, become the champion of the slot machine. 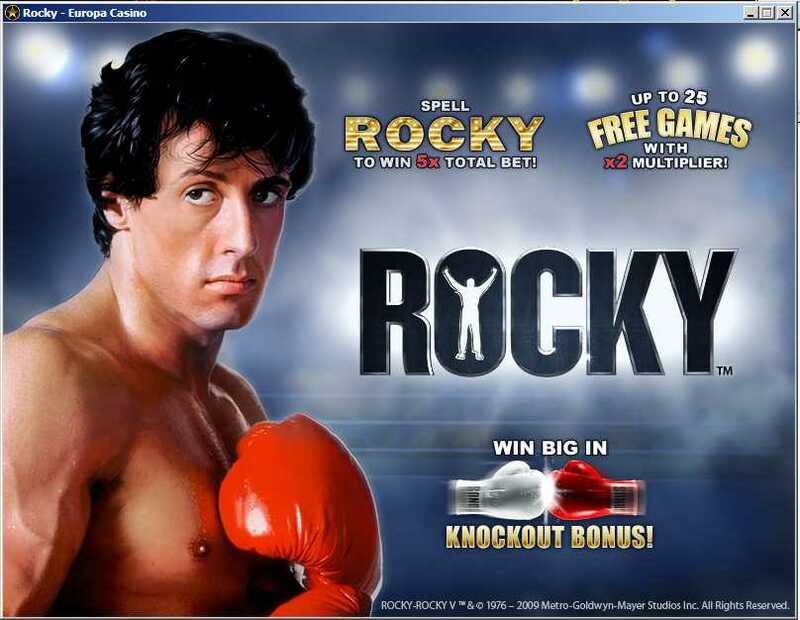 Visit Titan Casino, Europa Casino and Casino Tropez today and fight for your fortune playing the Rocky slot game.